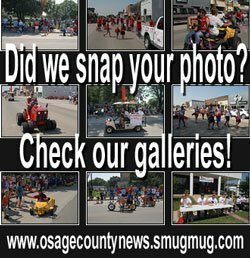 The following information was compiled from records at the Osage County Courthouse May 29, 2017, through June 2, 2017. Phillip C. Davis and Laura Davis to James Baseley and Eva Baseley. Blocks 1-4, West Lyndon and all Block 6 and 7, Bailey and Gilliland’s Addition, Lyndon. Kimberly J. Heuer to Wesley E. Schimmel and Kristy A. Schimmel. Lots 59 and 61 on Fifth Street, Quenemo. Conway T. Buckner and Paula J. Buckner to Karol J. Wilhite Trust and Wanda L. Wilhite Trust. Lots 10 and 12, Block 3, Fairchild’s Addition, Overbrook. John David Hauck to Michael Herrick. Even Lots 2-8, Block 7, Original Scranton. Security Bank-Hume Branch to Michael E. Hoppe. Lots 1-10, Block 15 and Lots 1-3, Block 16, Osage Carbon Company’s Addition, Scranton. Ronald D. Cox and Joyce A. Pierce-Cox to John L. Fellers and Linda D. Fellers. Tract NE 1/4 4-18-16. 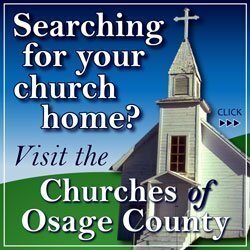 Osage County Sheriff to Branch Banking and Trust. Lot 3, Tucker Subdivision “C”, Carbondale. Thad L. Thurston and Laura D. Thurston to Double W. Ranch LLC. Tract NE 1/4 32-18-16. Bayview Loan Servicing LLC to Angelique R. Dorsey and William S. Ryan. 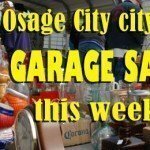 Tract out Lot 40, Osage Land and Mining Company, Osage City. Jerry L. Hearn, Jr. and Rose M. Hearn to Thad L. Thurston and Laura D. Thurston. Tract SE 1/4 29-16-16. Kenneth Tidball and Orvina Tidball to Dustin Samuel Elder and Jenny Edra Elder. Lots 27 and 28, excluding S 32.5’, Western Heights Addition, Overbrook. Darlene R. Arb to CNC Properties LLC. N 17’ Lot 14, all Lots 15-18, Block 34, Original Lyndon. Donald L. Croy and Sharron J. Croy to Robert A. McLees and Virginia S. McLees. Lots 1 and 2, Croys Estates. Danny R. Brecheisen and Dorothy M. Brecheisen Living Trust to Roger L. Downey. Tract SE 1/4 24-16-16. Conrad C. Boos and Mary R. Boos to TJ’s Mainstreet Grill LLC. All Lot 13, S partition wall, all Lot 15 and N 22’ Lot 17, Block 6, Original Overbrook. Betty Warren and Larry Schneider to CNC Properties LLC. S 50’ Lots 1-3 and S 50’ E 1/2 Lot 4, Block 30, Original Lyndon. Wells Fargo Bank to Eric J. Tincher and LuAnn Tincher. Lots 64-68, Sail A Way Drive, Overbrook.